We write to urge your full attention to the outrageous Sudanese court ruling that sentenced Meriam Yahya Ibrahim Ishag to death by hanging for her religious beliefs. We request your immediate action and full diplomatic engagement to offer Meriam political asylum and to secure her and her son’s safe release. This week, a court in Khartoum sentenced Meriam, 27, to be flogged for adultery for marrying a Christian man and to be hanged to death for refusing to renounce her Christian faith. According to news reports, Meriam is currently eight months pregnant with her second child, and has been imprisoned along with her 20-month old toddler since February. 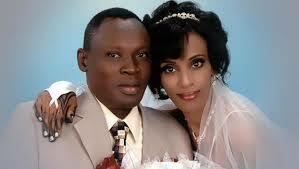 Meriam is married to Daniel Wani, an American citizen who has ties to New Hampshire. Meriam was reportedly born to a Sudanese Muslim father and was raised as a Christian by her Ethiopian Orthodox mother. We also urge you and President Obama to reappoint an Ambassador at Large for International Religious Freedom, whose primary purpose is to monitor, prevent, and respond to this exact type of incident. Thank you for your attention to this letter, and we respectfully request a prompt response regarding the actions taken by the Department of State to secure Meriam’s freedom. Sergeant Bergdahl was held as a Prisoner of War by the Taliban for 5 years. With the news of his pending release, I am exceedingly happy for Sergeant Bergdahl’s family. At the same time, however, there are reports from the U.S. Military that Sergeant Bergdahl deserted during his Tour of Duty. I encourage anyone to look up the penalty for desertion during an act of war under the Uniform Code of Military Justice (UCMJ). In addition, in spite of the fact that a country must NEVER negotiate with terrorists. Sergeant Bergdahl’s release was negotiated by releasing 5 captured Terrorists held at Guantanamo Bay. So, we get back Sergeant Bergdahl as described above, yet we will NOT go after Mrs. Mariam Ibrahim?? ?